- At times of crisis it is all too easy for people to turn inwards. We have seen it again and again, but as Europe navigates a financial balancing act the decision of the European Parliament’s Committee on Foreign Affairs to discuss the issue of Somaliland this week was both welcome and extremely timely. It came after Admiral Duncan Potts of Operation Atalanta reiterated the need to work with states in the Horn of Africa if gains made in combating piracy were to be secured. My government has been devoting significant resources to this common scourge and my exchange of views with MEPs sends an important message to Somalilanders and Europeans that we are partners in a common endeavour: to bring peace, stability, and prosperity to the Horn of Africa. The London Somalia Conference held on 23 February 2012 demonstrated that this year will be a crucial one for the future of Somalis throughout the Horn of Africa. The mandate of the Transitional Federal Government (TFG) will expire in August 2012 and it is unclear what will, or can, replace it. 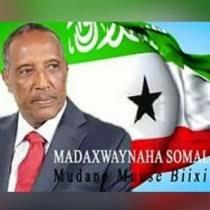 There has to be recognition from all sides of the achievements that Somaliland has accomplished and their aspiration to be a sovereign state. These reflect the determination of Somalilanders to shape their own future in what has proved an inspiration to many Somalis. But our model is our own, and just as we do not wish to propagate it, so we also do not want to see our success subsumed. In the coming year Somaliland will continue to provide the base for United Nations food distribution operations to Somalia and its security units will provide the local basis for ongoing EUNAVFOR Atalanta and NATO Ocean Shield anti-piracy operations. Local elections will be held throughout Somaliland’s districts, building upon successive polls held since 2003 that have been deemed free and fair by international observers. We will also be moving to diversify our economy and encourage private investment to take full advantage of the €175 million the European Commission is providing to foster economic development in Somaliland. This is imperative as the demands being placed upon Somaliland and its people are growing. Pushed by instability and drought in neighbouring Somalia and drawn by Somaliland’s vibrant economy, thousands of refugees and migrants make their way to the capital, Hargeisa, and other urban centres every year. The military campaigns of Siad Barre flattened cities, devastating Somaliland’s infrastructure, and while mobile networks have spread like a web and international banking services are growing, key provisions such as sanitation and basic utilities are being stretched beyond their original, very limited, capacities. For this reason, and to ensure the tremendous work achieved to date is not squandered, the European Union and its Member States should continue their valuable investment in Somaliland, because every day the dividends are being seen. Business confidence is growing as key names such as Coca-Cola open operations, the diaspora continues its crucial investment in property and trade, and my government continues to push the promulgation of legal codes to encourage and protect investment. But the next step has to be to allow Somaliland formal access to international organisations so that it can obtain credit, allow its exports to be certified according to international standards, and thereby allow its traders the opportunity to realise the true worth of their talents. Like Europe we are facing new realities and possibilities, but between a young country and an old continent I want to build a partnership based on our common outlook and the belief that we must secure for our citizens the future they deserve.